What do I want out of life? What are my dreams, aspirations? The goal of the financial security planning process is to be a road map through life to help you achieve your goals in this constantly changing world. 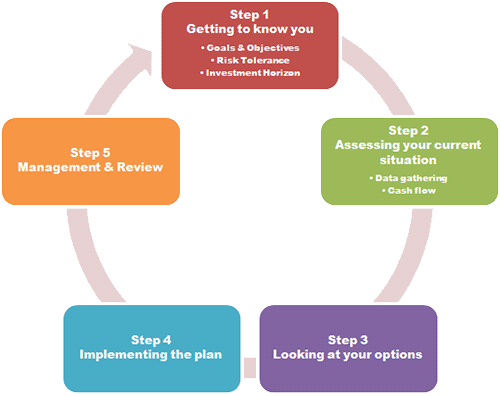 The advisors at Brown Financial follow a simple, but well-defined five-step process that results in a comprehensive investment strategy.